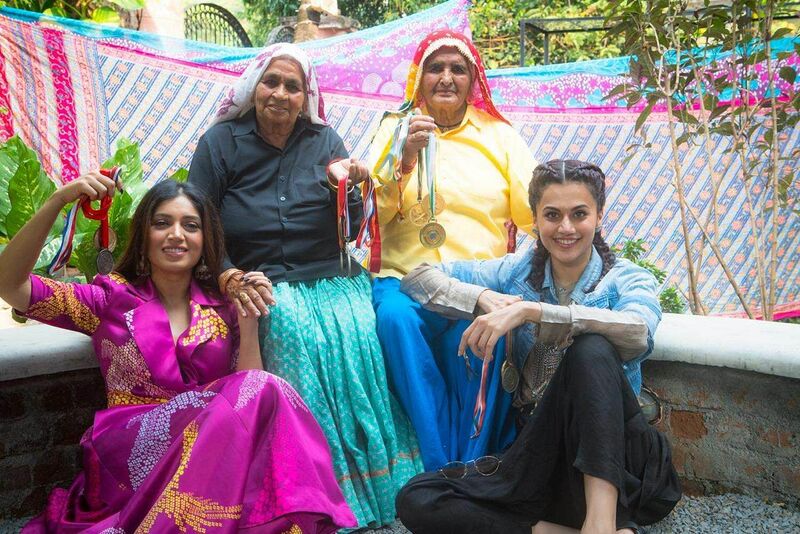 Bhumi Pednekar- and Taapsee Pannu-starrer, Saand Ki Aankh to go on floors shortly. Reliance Entertainment, Anurag Kashyap, Nidhi Parmar and Chalk n' Cheese Films join hands for the production. The film follows the exciting story of the world's oldest sharpshooters Chandro and Prakashi Tomar, the drama marks the directorial debut of acclaimed scriptwriter Tushar Hiranandani. Producer Anurag Kashyap says, "At a time when content is king we believe Saand Ki Aankh will truly stand out. With a great script, versatile actors like Taapsee Pannu and Bhumi Pednekar, and the immensely talented Tushar Hiranandani captaining the ship,we are confident we have a winner on our hands." Set in the hinterlands of UP, the film goes on floors next week in Meerut. Talent powerhouses Bhumi and Taapsee have already started prepping in full swing with intensive workshops and look tests. Says director Tushar Hiranandani, "We honestly couldn't have asked for a better cast. Both Bhumi and Taapsee have put their heart and soul into the characters right from the initial prep to the training and their looks. The film is the perfect platform for them to reach their true potential as powerhouse performers."